Anna Friel, 36, is a British actress. She was diagnosed with endometriosis when she was 28, after being rushed to hospital with a ruptured ovarian cyst. She says “one doctor told me it would be very hard if I left trying for a baby beyond the age of 30, which at the time was far from an ideal situation”. She gave birth to daughter, Gracie, in 2005. Annabel Croft, 46, is a British former professional tennis player and current radio and television presenter. She had surgery for endometriosis in 1992 and went on to have 3 children. After her doctor found a cyst on her ovary in 2003, she has visited a homeopath and found her cyst reduced in size after taking the prescribed remedies. She now visits her homeopath every 6 weeks for a full ‘mot’. Annabel has formed Diary Doll with friend and fellow television presenter Carol Smillie, a company specialising in ‘period pants’. 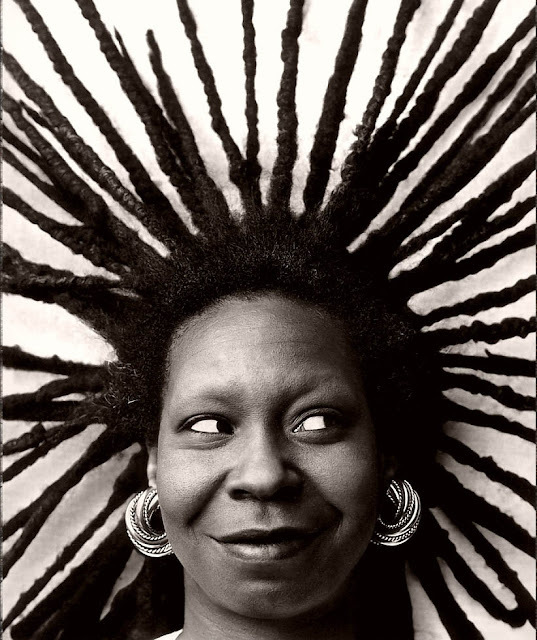 Whoopi Goldberg, 57, is an American comedian, actress, singer-songwriter, political activist, author and talk show host. She found out she had endometriosis in the 70’s and was given medication for the disease which worked. She has one daughter, Alexandria, born in 1973. Anthea Turner, 52, is a British television presenter and media personality. She has said the pain of endometriosis had been unbearable at times. “If someone was to give me a gun I would shoot myself, it really can get that bad”. She has tried acupuncture in the past but was eventually told her endometriosis had cleared up spontaneously. To date, Anthea has undergone five unsuccessful IVF treatments. 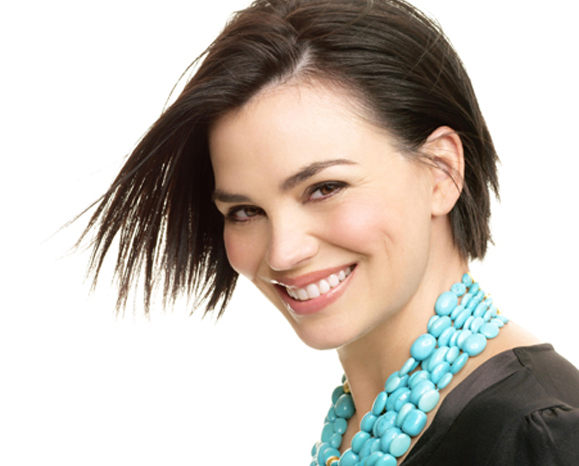 Karen Duffy, 50, is an American model, television personality and actress. She was diagnosed with endometriosis in 1998. Karen says the cramps ”felt like a boa constrictor wrapped around my abdomen”. She now controls her endometriosis with Lupron and reports no side effects from the drug. ”I have more energy now, and maybe it’s because I have less pain” she says. Padma Lakshmi, 42, is an Indian American author, actress, model and television presenter. She also co-founded the Endometriosis Foundation of America. Padma suffered with pain for more than 20 years and was told it was ‘all in her head’ before she was diagnosed with endometriosis. She had surgery when it was revealed she had 2 cysts on each of her ovaries and was also put on to birth control. She gave birth to her daughter, Krishna, in 2010. Nike Oshinowo-Soleye, 46, is a Nigerian business woman, socialite, entrepreneur and former pageant director. She has battled with endometriosis since 13 years old and has lost count of how many surgeries she has had for the disease. She is now looking forward to the menopause. Dolly Parton, 67, is an American singer-songwriter, actress and author. It was during a 35 date tour of the US and Canada in 1982 that she was taken in to hospital (aged 36) to have a partial hysterectomy due to endometriosis. She later faced a period of depression and suicidal thoughts from not being able to have children. 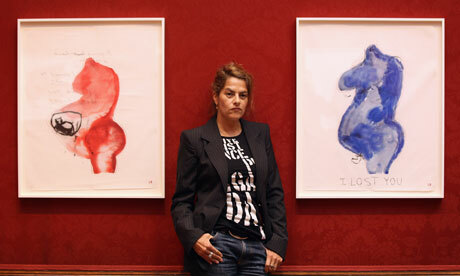 Tracey Emin, 49, is a British artist. Tracey developed severe stomach pains and when she collapsed the next day, was rushed to hospital where it was discovered she had endometriosis. She says “I couldn’t walk because of the terrible pain in my hip from all the swelling”. Tracey revealed in 2012 that she had now lost her libido after an operation for severe endometriosis brought on by the menopause. She said she does not have a sexual relationship with her new boyfriend and has never wished to have children. 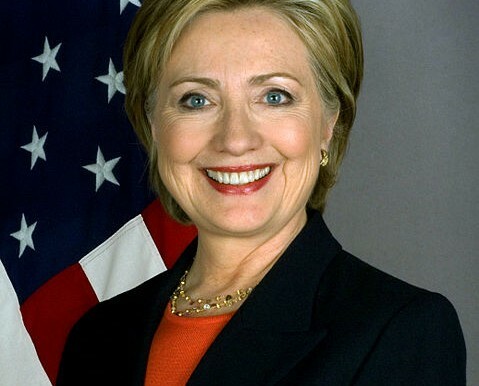 Hillary Clinton, 65, is the 67th United States Secretary of State. She had trouble conceiving her only child, Chelsea, born in 1980, due to endometriosis. Emma Bunton, 37, is a British pop singer-songwriter from the Spice Girls, actress, model, television and radio presenter. She was diagnosed with endometriosis at 25. “I remember the doctor saying at the time: ‘Fifty per cent of women with endometriosis go on to have children’. I thought, only 50 per cent!? It scared the life out of me”. She has two sons, Beau, born in 2007 and Tate, born in 2011. Aya Matsuura, 26, is a Japanese pop singer. In a bid to raise awareness, Aya announced to her fans that she had the disease in 2011 and had been suffering with pain for the last 4 years. In 2009 she took a 3 year career break and now performs on a level suitable to her needs.